A branding article filled with good intent. I was initially thrilled to see an article on the CPA’s blog titled; ‘Why your accounting practice brand is more than a logo’. The CPA is one of our countries most trusted and respected associations, representing an industry with more than 30,000 businesses and revenues of more than AU$20b. And here they were writing a thought piece to educate and lead the thinking for their members on branding best practice. But then I read the article and was left underwhelmed and disappointed. The article starts well with the statement; ‘Building a recognisable and trusted brand is paramount if your accounting practice is to be successful. Read on to learn why your firm’s brand is much more than just a logo’. It quotes a couple of case studies of accounting firms who have rebranded, interviewing the principles on how and why they updated their branding. The article includes an interview with a branding ‘expert’ and finishes with; ‘5 top tips for branding accounting firms’. But unfortunately whilst attempting to educate, the article falls short of presenting a truly professional view of what branding is, how it works and why it is of value. There’s no doubt branding is both a complex and poorly understood business tool. Whilst most business owners understand that Nike, Amazon and Coles are successful brands and that loosely speaking those brands add value to the businesses they represent, in general they fail to understand how this concept of brand can be leveraged to benefit their own businesses. The benefit of effective branding. The critical elements of an effective brand are: Clarity on what it does that adds value to the life of it’s clients and customers, Clarity on how it does this in a way that is truly unique in the market and Clarity on how they look, speak and behave in order to do that consistently well. When we launched Bounce!, an indoor trampoline concept that has genuinely created a global revolution and a new (now crowded) category, we very effectively met these brand requirements. The value we added to the life of customers was excitement, exercise and for parents, somewhere the kids would go to get out of the house and away from their X-Box and iphones. By shifting the concept from a functional shed of trampolines to a very cool world of bounce more akin to a Ninja Warrior course, we created an experience that was truly unique (although now regularly copied). Finally we created a brand identity that captured the spirit of urban parkour, defined a unique brand voice and messaging and the client developed a sophisticated HR plan so that we looked and behaved like no other brand we were competing with for the active entertainment dollar. 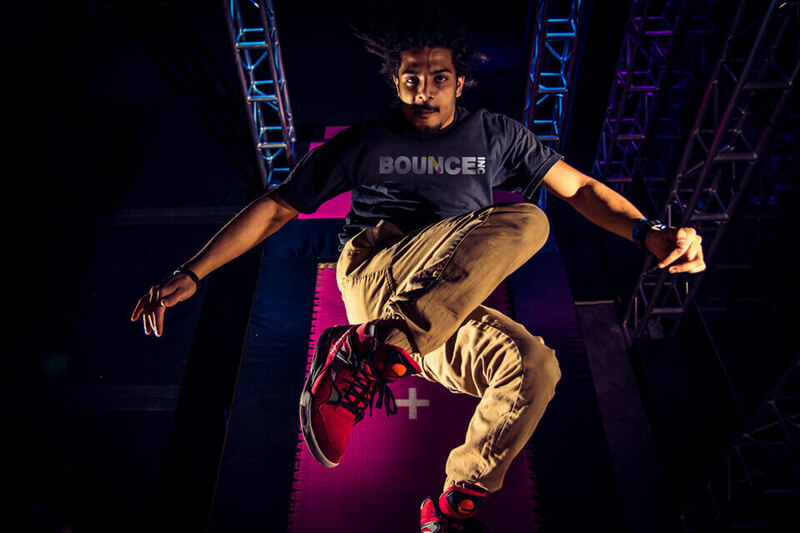 Bounce Inc! was the most successful brand launch we’ve seen. Calculating the business case (and budget) for rebranding. One of our mantras at Truly Deeply is that ‘the brand is there to serve the business’. This philosophy refers to the most important point missing from the CPA article that the business needs to first have a good reason for rebranding. The business imperative can be driven by changing market conditions, a dated brand image, new partners changing the mix or the business expanding to offer new services. Whilst these may be the drivers, the imperative most often comes back to either reversing a loss of market share, maintaining market share in a shifting market, or growing market share. In each of these cases the business case for rebranding can be quantified in dollars. For instance, in one of the article’s case studies, Bridgette Pretty who runs a public practice called Pretty Accounting in Nelson, New Zealand talks of “…thinking about adding legal services to our business. If we do this, it would be a good reason to update our logo again.” The business case for this strategy would have been well considered with a view on additional sales to existing clients and prospective new clients the firm could attract who could then be sold on traditional accounting services as well. Once a business has ascertained the increase in medium to long term sales and profits associated with the implementation of their strategy, they are in a position to set a budget to invest in that change. If adding legal services has the potential to increase fees to existing clients by $120,000 per year, plus bring in an additional $60,000 of fees per year with clients who could then be sold traditional accounting services for another $30,000 per year, the benefit of implementing the change effectively can be calculated at $630,000 over the first three years (and more beyond). With a reasonable profit margin, the bottom line benefit of the strategy could be $200,000 for the initial three years. This suggests a total investment of $70,000-$100,000 to implement change would be a reasonable return on investment. This budget should include all costs associated with the change including rebranding, new web site, marketing of the new proposition, trademarking, etc. but exclude costs such as employment of new staff to service the demand as these costs are covered above the line. We are often surprised when talking with prospective clients who have decided to rebrand that they have not developed a clear business case for that decision. However, I’m floored that in an article written for and by the CPA about branding best practice, there is no mention of business imperative and budgeting accordingly. The difference between logo design and branding. As with all categories of professional services, there are designers who will create a new logo for $500 and studios who will charge $5,000 for a more professional version – but this is not rebranding. Likewise, for businesses looking to rebrand they can find studios who provide a lightweight process and charge $10,000 through to experienced branding agencies with robust processes and a breadth and depth of insight and experience who will charge between $40,000 and $100,000 depending on the project scope required. The unfortunate reality is that with branding you get what you pay for. Just this week I was talking to another business owner who had mistaken price for value. Having spoken six months previously about their rebranding, the client had chosen to not invest in the cost of our services (around $45,000 in her case). She had not developed a business case for the rebranding work and was basing her budget on what she felt she should spend on the work, not on what the business case justified. Having found another agency to do her ‘rebranding’ for a lesser cost, she’d found the work wasn’t translating into increased sales for the business and was keen to get my advice on what to do next. Reviewing the brand as a starting point it became immediately apparent that they had been delivered a new logo and packaging design solution, but not the new branding they required. With no brand strategy, there was no differentiated value proposition and as such the new look was strategically ineffective. Without this brand foundation, the new website and packaging were not providing any reason for the market to be interested in or in fact purchase their products. The client had saved themselves $20,000, but had spent $25,000 on a facelift that was not making any difference to the business performance. Finding themselves now $25k out of pocket but effectively in the same position they were six months ago, the client is now finding it difficult to chart a path forward. Understanding your needs and the business imperative for rebranding will provide you with the basis for understanding which level of branding service you need. If you are a sole operator with a wish to rebrand to attract a clientele with larger businesses and budgets, your business imperative may be based on increased profits of $20,00 per year. Over three years, increased profits of $60,000 would justify a $20,000-$30,000 budget for rebranding and implementation. However, as a $20,000 budget will only allow for a $10,000 level of solution plus new website, signage and stationery, you may choose to invest a greater percentage of increased future profit (say $50,000) to ensure the work required is done to the highest standard and delivers the greatest return for the long term. 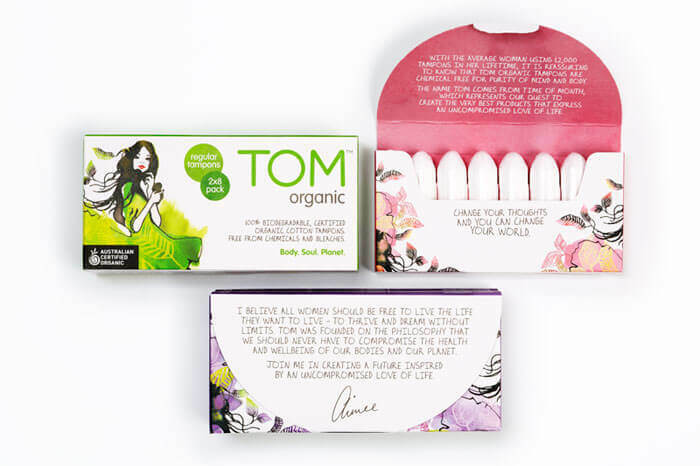 Our rebranding and new packaging design for TOM Organic delivered a 1000% increase in sales over the first six months alone. To be fair, my 30 years in the industry make it easy for me to poke holes in an article written with pure intent to educate their audience on branding. Branding is a business tool that is typically undervalued, complex to comprehend, and over-simplistically understood. Whilst any article that has businesses thinking more seriously about the commercial benefits of getting their branding right is a good thing, unfortunately, the CPA have not provided nearly the level of thought leadership and best practice their members and readers need. 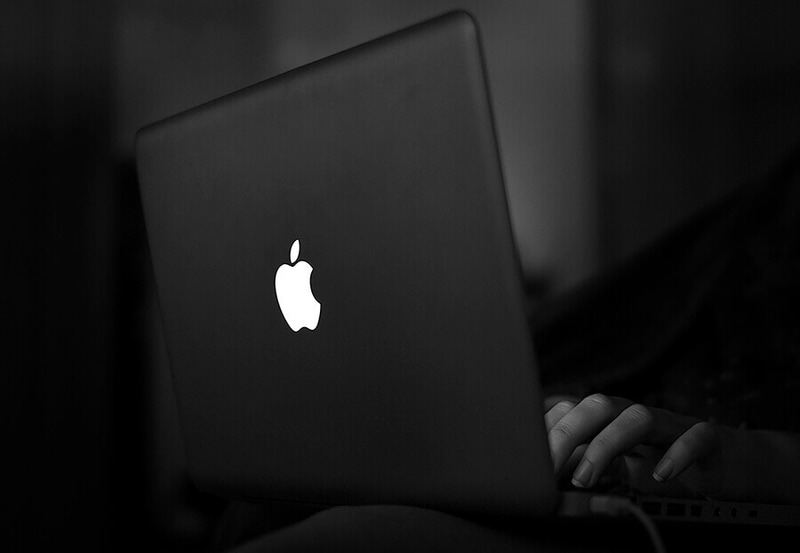 Pic Credits: Laptop Linus Ekenstam, Bounce Inc! pic courtesy Bounce Inc! Friday Funny Guys – Will Social Media Change the way we Communicate?